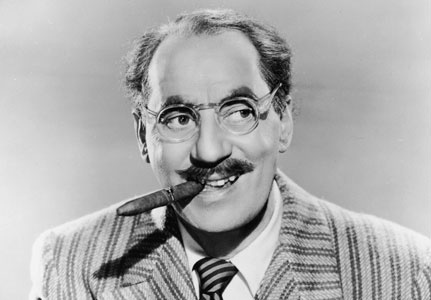 Is Rex Hammock the Groucho Marx of New Media? Perelman doesn’t say how he felt about it, but given his admiration of the Marx Brothers, he was surely delighted. I feel the same way about Rex Hammock’s blog post last week declaring my book, the New-Media Survival Guide, to be “awesome and a must read.” Does it worry me that his praise was preceded by the cheerful admission that, other than the two pages about him, he hadn’t read any of it? Not at all. It’s classic Rex: funny, generous, and honest. It underscores my reason for featuring him in the book: if you want to understand new media, his blog posts and tweets are required reading. UPDATE: Thanks to Bill Hudgins for suggesting the photo. After taking a day off from blogging yesterday—which seemed wrong, so very wrong—I felt the need to make a statement of some kind about my blogging plans. I just wasn’t sure what they were. Less dramatically, and, I hope, in an ethically unblemished context, I found myself yesterday asking a similar question: What next? 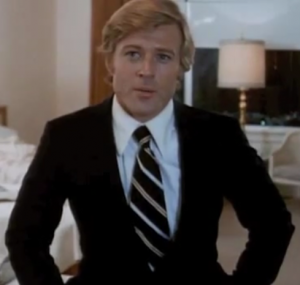 Try to work a reference to fellow 1970’s-movies-alluder Rex Hammock into every post I write, thereby ensuring it gets at least one reader beyond my family members—assuming he meant what he said. See if I can once again piss off Brian Clark with a mild, well-intentioned criticism of his excellent blog. Although I haven’t achieved enlightenment by simply writing blog posts for 30 consecutive days, I think the advice applies. I’ll keep doing what I’ve done all along on this blog: covering with an analytical eye the intersection of new media with B2B publishing and communications. The only difference, I hope, is that I’ll be chopping a lot more wood and carrying the water a lot farther.